According to the news agency Amur Media from February 8, the City Palace of Culture was opened in the area of the former plant “Energomash”. 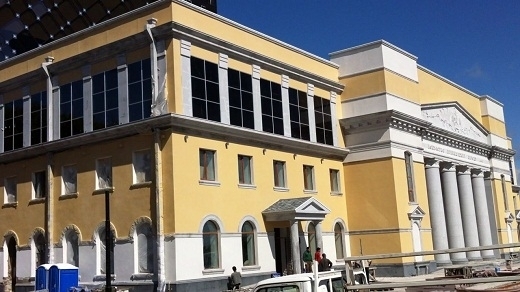 A new building of the palace was constructed on the site of the old one. Partially the old facade was preserved, built in the late 40's and early 50's by Japanese prisoners of World War II. About one billion rubles (33,4 million dollars) were spent for the Palace's reconstruction and technical equipment from the city's budget. Now there appeared in Khabarovsk an excellent area for the world-class performances. The total area of the Palace is more than 7.5 thousand square meters. A large concert hall has 700 seats equipped with transforming chairs that can be assembled at short notice. The concert hall can also be a place for banquets, balls and New Year parties. Hand-made in Germany “Grotian-Steinweg” piano is the pride of the concert hall. Also is unique the screen “record” - light emitting diode installation of 93 square meters large occupying the whole backstage. 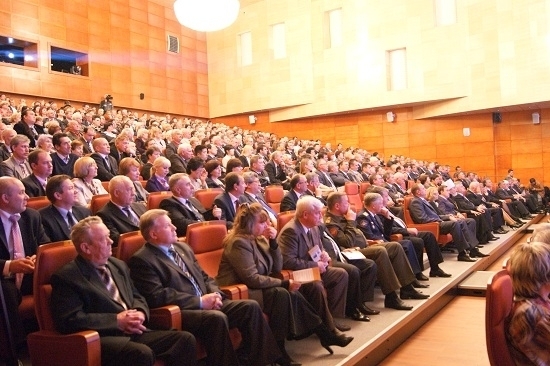 The conference hall can accommodate more than 60 people. Besides there is a special device allowing a simultaneous translation into any language and in case of necessity a live broadcast can be made to any area in the world. For less important events there is a smaller hall and an exhibition area can house any kind of exposition. The first concert will take place in the Palace on February 18.The famous Russian pop singer Igor Nikolayev will perform here. The History Museum of the City of Khabarovsk is also located in the Palace's building.